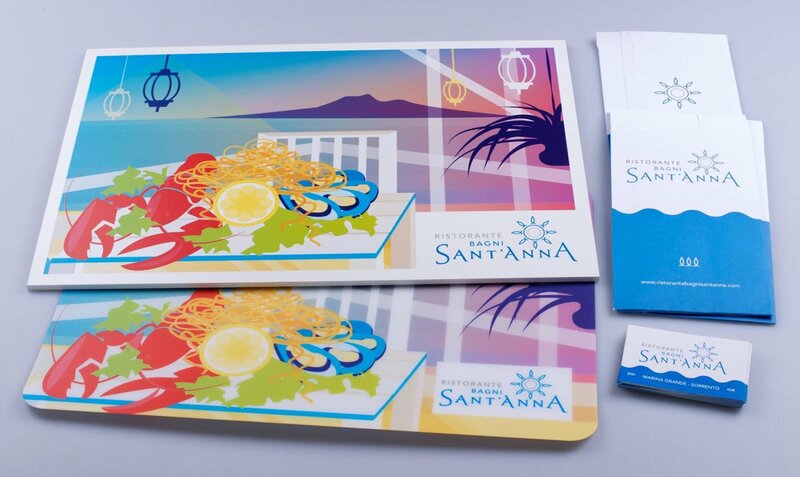 Sant’Anna is a restaurant situated on the seaside of the Italian city of Sorrento. 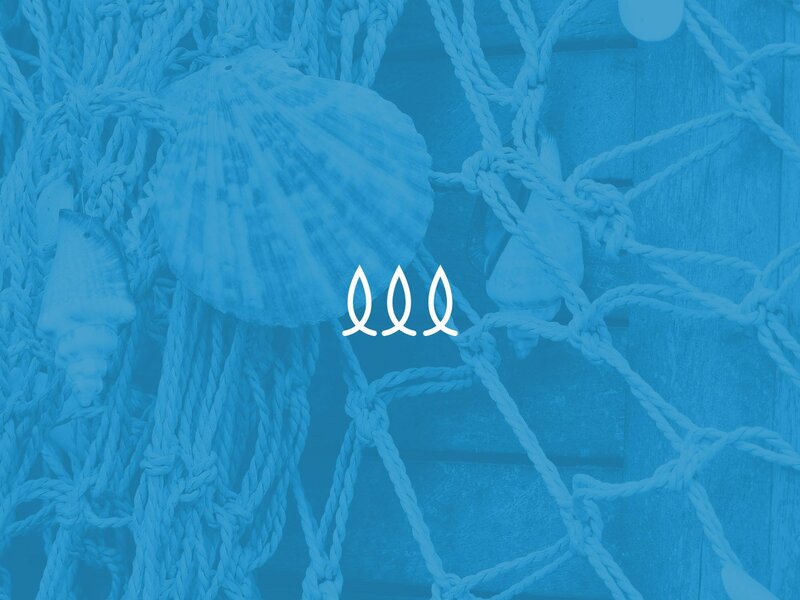 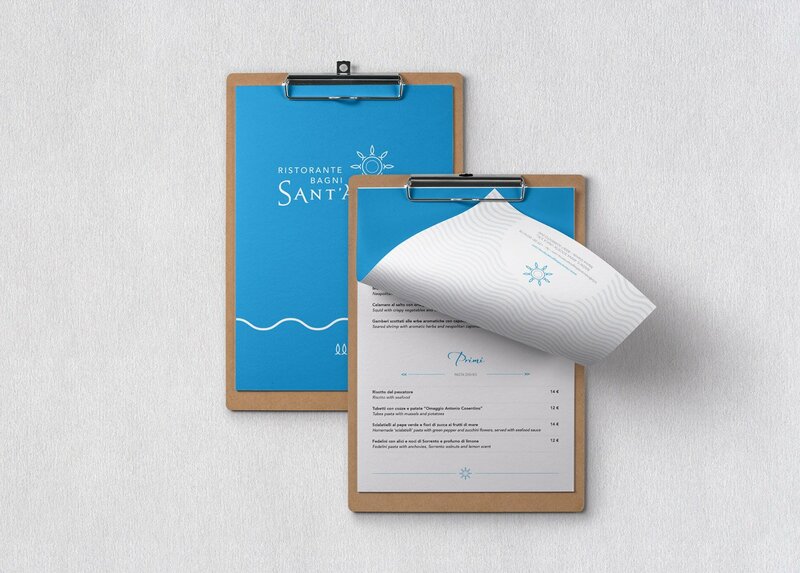 Munch Studio was tasked to create an attractive visual identity that reflected the restaurant’s unique offering and its specialty—a fish restaurant with solarium. 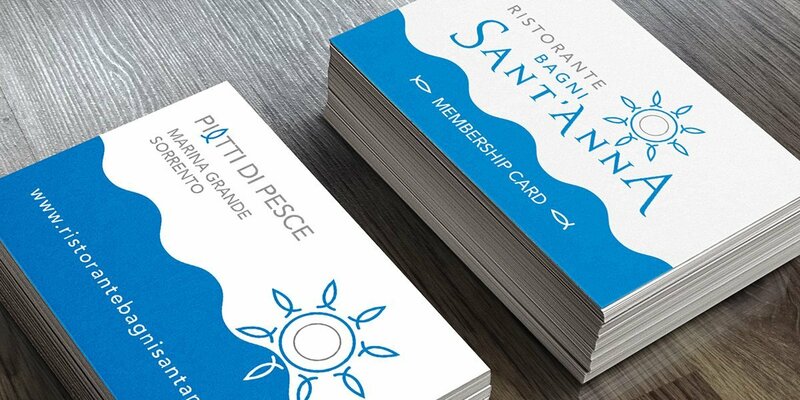 For inspiration, we looked at the restaurant’s settings within the Gulf of Naples. 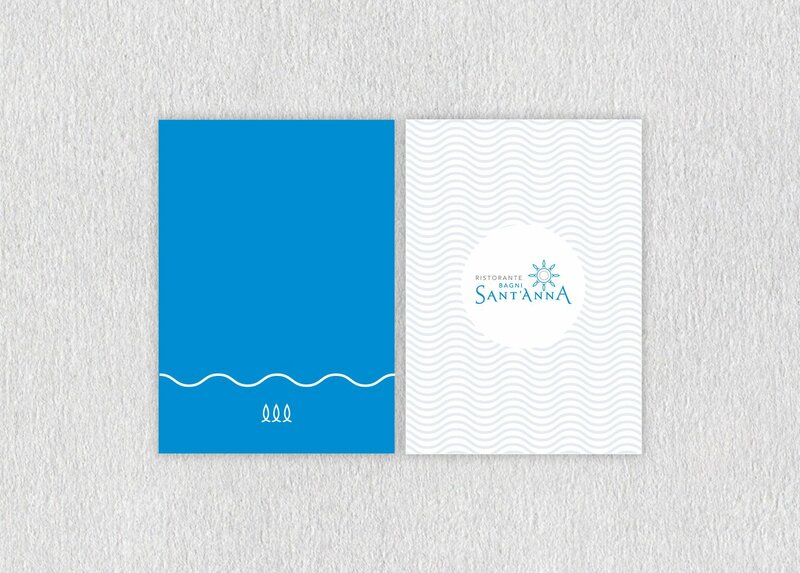 The logo icon represents a sun created by a plate and fish-shaped rays to symbolise the restaurant’s offer. 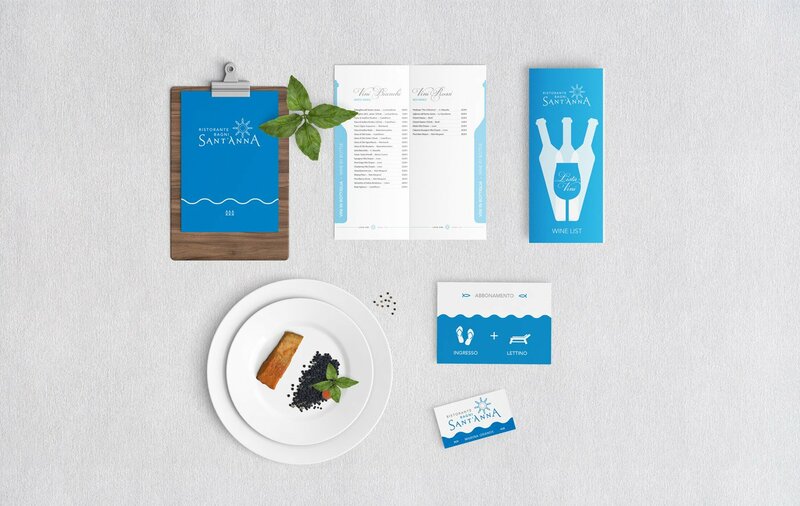 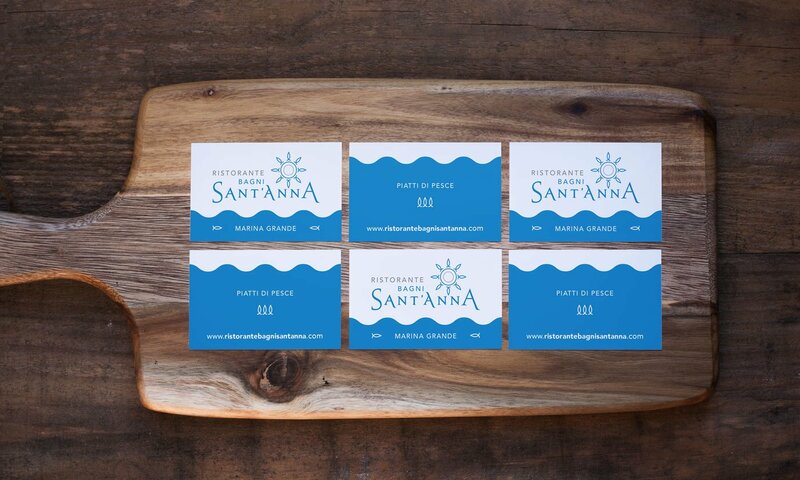 The identity developed follows the maritime theme and the result is a vibrant selection of promotional material and supporting brand collateral, including table mats, cutlery holders, posters, menus and business cards.